You’ve heard the adage before. You may have the RHS tome that describes what plants will grow in what conditions. Right plant, right place makes it sound like any given plant will only grow when the conditions are perfect. And there are some that are just like that. But there are many more that are extremely tolerant and can be put virtually anywhere. You can try some plants in lots places, and they might just grow. Don’t be slave to convention, try moving a few around. Repeating a plant in design helps link it together, regardless of soil condition. I happen to have three plants in my garden that are “fillers”. They grow everywhere, and I use them to fill gaps until I have the plants and the plan to create the bed properly. 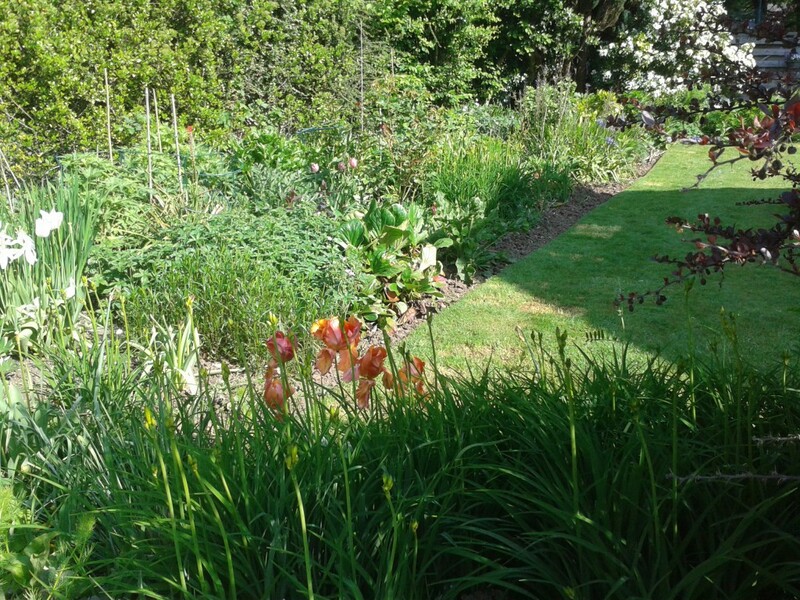 These fillers are Crocosmia Masoniorum – montbretia -; a prolific pink flowered cranesbill – Geranium; and a knee-high yellow Hemerocallis – day lilly. As an experiment I have tried them out in every condition I have. From full shade – wet or dry – to full sun damp next to the pond or dry under the umbrella of a conifer. And to varying extents they all work. And its not just limited to these three. Many others work well in three or four places. They do need support to get established in the drier areas though. 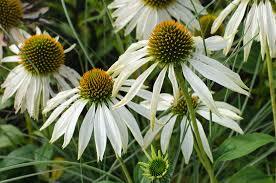 Those that I can only get to survive in one place include Echinacea. I have grown hundreds from seed, only to be disappointed year after year when they fail to reappear. I have therefore This has forced me to condition the soil quite precisely before planting them. This year I will try to get them into more places, making sure the drainage is sharp. And that there is some protection from frost. And I will stick to the tried and trusted standard purple and white flowered varieties. Not one of the other yellow, red or orange ones has ever survived wherever I have planted them. So don’t be put off if your garden conditions don’t meet what the Right plant, right place book says they must be for a plant to grow. As long as they have some decent soil that meets gardeners paradox No1 – well drained, moisture retaining – try them anywhere. So long as the soil has some life in it there is a good chance plants will grow in it. I have had a niggling problem with my pond electrics for about six months. At first I thought it was the skimmer. I had tested everything, and when the skimmer was turned on the house went dark. My test meter showed a slight earth feedback, enough to trip the RCD. So out came the skimmer and all was well for five months. Now it has happened again, but this time the pond pump stopped working. But an electrical problem with one pond motor is unlucky, two just seems to be very unlikely. But the prospect of being without water movement for days as I sought a new pump was quite scary. 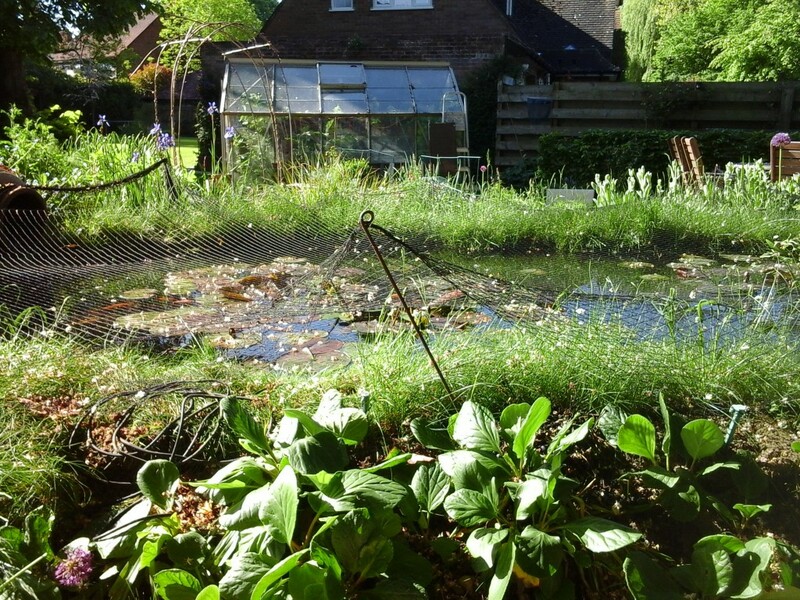 This pond is well stocked and relies on good water movement as well as the filtration. But my ace-in-the-hole is my aerator, a £20 twin outlet Hozelock pump that come complete with airstones and air tube. I keep it on a low flow rate in the pond all the time, but while the pump was off it was turned up to max to keep air flow up and the water moving. I figure it should keep the fish alive for a few days at least, enough time for a replacement pump to arrive should I need one. During my investigations I discovered that the IP56 dual socket had a seized terminal, making one of the two outlets unusable. Onto eBay to find something to replace it, and I find an RCD protected IP66 socket for less than £20. Using this would mean that should another problem arise only the socket would be switched off, not the entire circuit or house. And while I am at it, how much would a new 8000ltr per hour pump cost me? Too much is the answer, with prices ranging from £150 to £300. So getting one in “just in case” wasn’t an option. Another search led me to Swell UK, and their own brand pumps that are reduced in price for the summer, with an 8000lph replacement for mine just over £70. At that price it’s worth getting one for redundancy. Have a plan in case your pond pump stopped working. An airpump can save the fish stock for at least a few days. And a replacement pump can be had for less than you might think. And now the ground is wet and warm I can get a few more projects under way. A narrow south facing bad seems ideal for some tropical plants. It has a dry and a damp end, so will acomodate a wide range of plants. I have a banana – Musa Basjoo – and Cannas fr that tropical leaf feel, and colour from Dahlias and Callas. 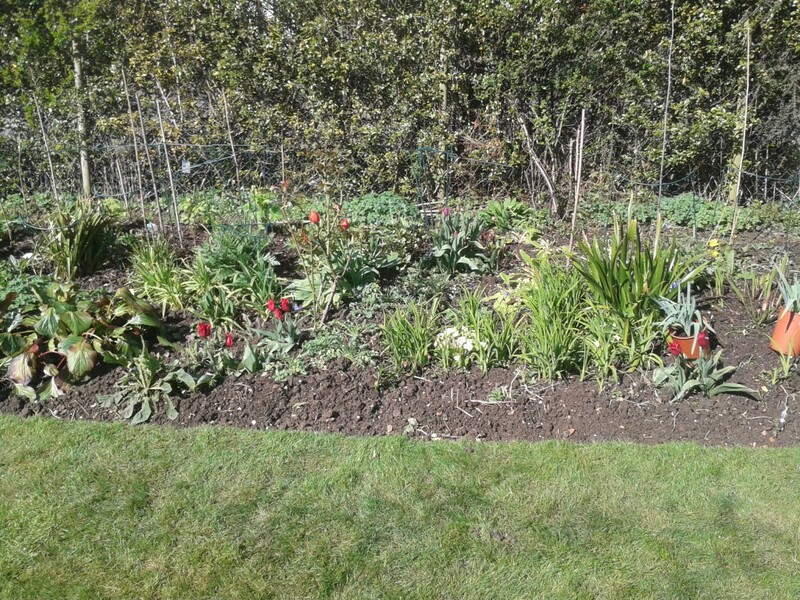 Some previous residents will stay, including Nerine Bowdenii, Helianthus Lemon Queen, several Penstemons and a Phlox. For spot plants I have some Lilly Regale and Tiger Lillies. This is also the spot I like to try to grow the best sunflowers, and they disguise an ugly downpipe as well. Agapanthus – a trade in at the last plant swap – and Alstromeria provide additional interest, and the latter hopefully long-lasting cut flowers. The slightly banked front will be covered by Osteospermum, Alchemilla Mollis and Sedums. Finally a few Mammoth sweet peas for scent. In the kitchen garden I have planted out the Chard, Pak Choi and about a million beetroots. There are four varieties, one of them a golden one that I have never tried before. Potatoes were another benefactor of the rain last week, requiring earthing up already. And the peas in the greenhouse experiment has worked, to the degree that we have mange tout to eat from the garden for the first time. The broad beans in the greenhouse beds are pinched out and all in flower. The main flower border is now storming ahead. The bad news is though… that there are only 4 weeks until midsummer.